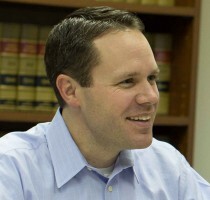 In 2012 and 2013, Garrett was voted by his peers to be one of Utah’s “Legal Elite” in the area of personal injury law. This prestigious recognition is from Utah Business magazine. Garrett is a Utah native who graduated from the University of Utah with a bachelors degree and and later graduated from Wake Forest University School of Law in Winston-Salem, North Carolina. Garrett gained valuable experience practicing exclusively in the area of personal injury with one of Utah’s largest personal injury law firms. He is passionate about helping his clients achieve superb results from their personal injury claims. He finds great satisfaction in his work as he is able to interact one-on-one with clients in a way that validates their injuries and fosters individual relationships.